One of the only ways that many students can afford to attend college is by taking out student loans. 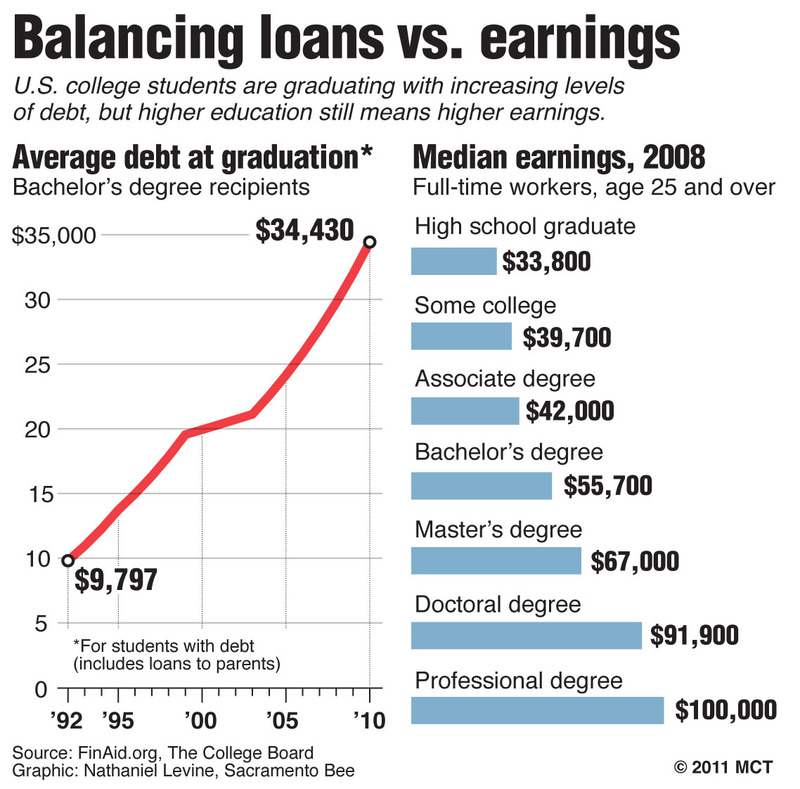 Unfortunately, those loans can turn around and become one of the biggest financial burdens you have ever seen. Last year, the Federal Reserve Bank of New York revealed that student loan debt in the United States had finally exceeded the total amount credit card debt in the country. That’s a debt of over $1 trillion in student loan debt. So, how can you climb out from under that burden and what can Chapter 13 bankruptcy do to help? Now, while Chapter 7 bankruptcy may not be your ideal student loan solution, there is another option you can discuss with your North Carolina bankruptcy attorneys and that’s Chapter 13 bankruptcy. If you need help managing your student loan debts, Chapter 13 bankruptcy could be the answer you’re looking for. It can be used to eliminate other dischargeable debts in bankruptcy, making it a lot easier for you to repay your student loan. After you retain a North Carolina bankruptcy attorney, you file for Chapter 13 bankruptcy and set up a repayment plan with your creditors. Your monthly payments will be determined based on a percentage of your disposable income and the length of your repayment plan may last from three to five years. Once you reach the end of the repayment plan, the court issues a discharge for all your eligible debts. What Can Chapter 13 Bankruptcy Do to Help Your Student Loan Debt? 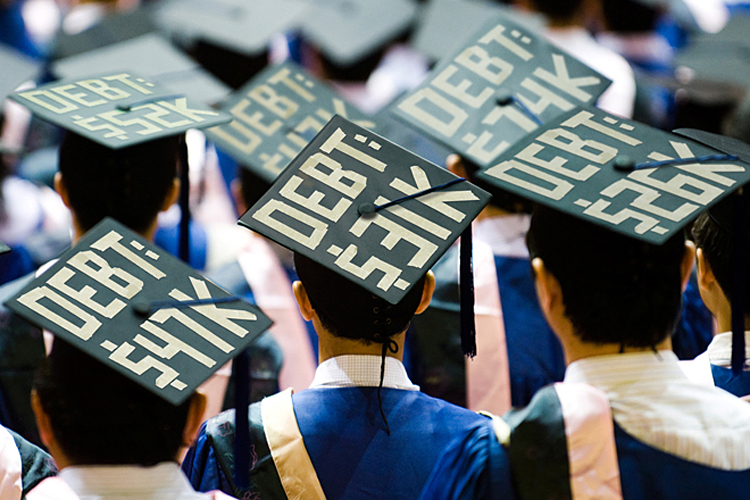 Student loans are considered unsecured debt, just like a credit card or medical debt. Under Chapter 13 bankruptcy, a portion of your monthly repayment fee goes toward paying off the student loan debt. 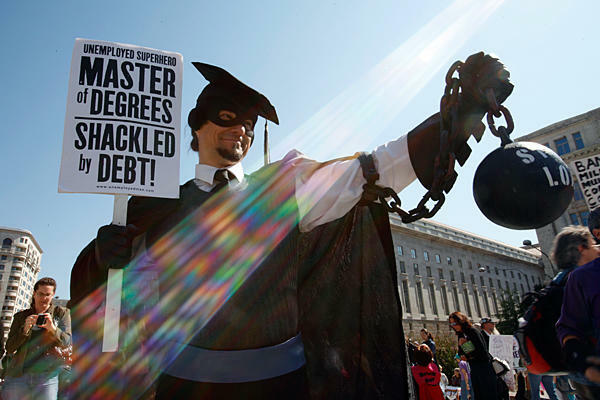 So, what are the advantages of filing Chapter 13 bankruptcy when you have student loan debt? Keep reading to find out! One of the great things about Chapter 13 bankruptcy is that you only pay what you can afford. Let’s say you can’t afford to pay your normal student loan payment each month. All you have to do is lower your monthly payment amount through your Chapter 13 plan. The day you file for Chapter 13 bankruptcy, something called an “automatic stay” goes into effect. This means that all collection actions by your lenders must stop immediately. One of the most stressful things about financial troubles is the constant ringing of the phone with debt collectors on the other end of the line. Chapter 13 bankruptcy can effectively stop your student loan lender from harassing you during the bankruptcy process, which can be from three to five years. Once the automatic stay goes into effect, you are no longer obligated to make regular payments to your student loan lender during Chapter 13 bankruptcy. Your Chapter 13 plan will take care of those monthly payments. If you have very little disposable income, your Chapter 13 plan may not require you to pay anything toward your student loans. The one thing to keep in mind here is that the interest will still keep building on those student loans during Chapter 13 bankruptcy, meaning you will still be required to pay that back after your bankruptcy is up. Filing Chapter 13 bankruptcy is not a decision you should take lightly. The process can sometimes seem a bit complicated and it’s always best to seek out the assistance of a North Carolina bankruptcy attorney.